Neither lipstick nor lip gloss—this is a matte lip cream. A new kind of pout paint that goes on silky smooth and sets to a matte finish. 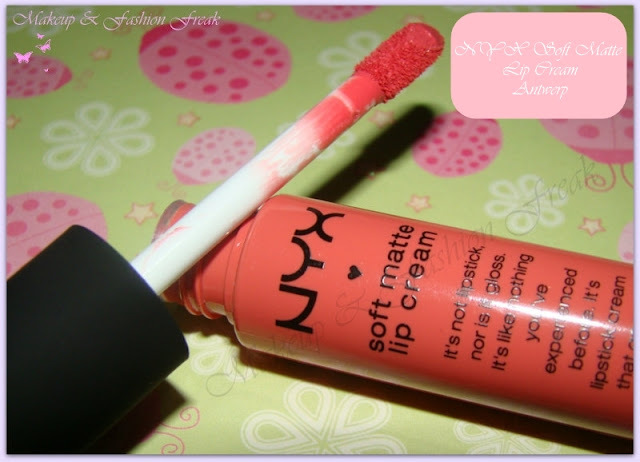 Soft Matte Lip Cream is surprisingly durable and, unlike some matte lipstick formulas, also moisturizing. Doesn't transfer, makes it easy for me to eat or drink anything. Feels really light on your lips, as if you have not applied anything. Its a pocket friendly lip product. I almost forgot to write its pigmented. Surprisingly a little moisturizing too. It creases on your lips. May feel a little dry on really dry lips. It smells a little weird in the beginning, but that doesn't matter much because later it smells of vanilla.. yummy.. I feel that it does not contain much product. Sorry no lip swatch this time. I was not being able to capture the exact color, and it was getting really frustrating as well. FYI, it looks coral- pinkish on my lips. The best thing about this lip cream is, it looks so natural and feels so light on your lips. It is quite pigmented. It feels creamy when you apply it but goes matte after few seconds.If you have very dry lips, apply a lip balm underneath. The only thing I hate is, it settles on your lip lines. Apart from this I just love this product and highly recommend it too. I think I will be buying few more from this range. p.s. Product sent by b2nShop without review obligation.